Farne won the Class 4 lightweight race at Daytona with his 175cc (F3) Ducati of which he said: :a low, lean, hard little machine with an enormous double-scoop front brake. The motorcycle was so purposeful, so elegant, so perfect. 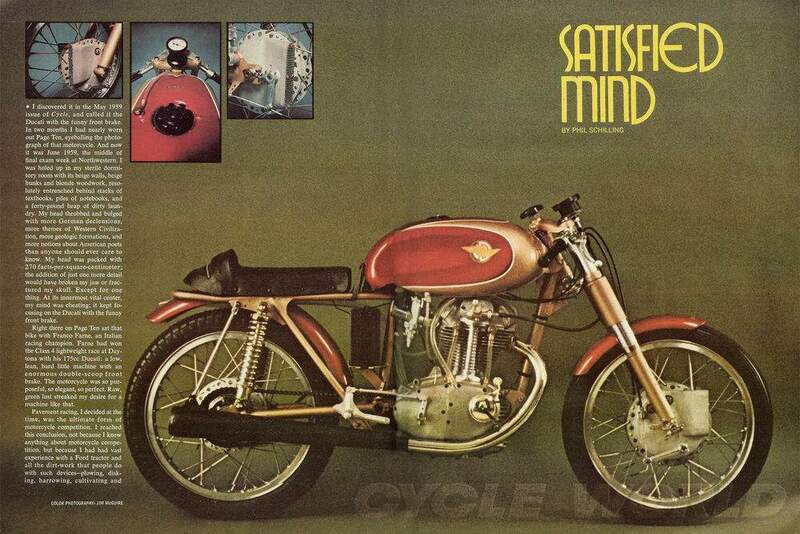 Raw, green lust streaked my desire for a machine like that." With production of the overhead camshaft singles well underway for 1958 the Formula 3 superseded the Marianna (the Gran Sport's nickname) as a catalogued production racer. 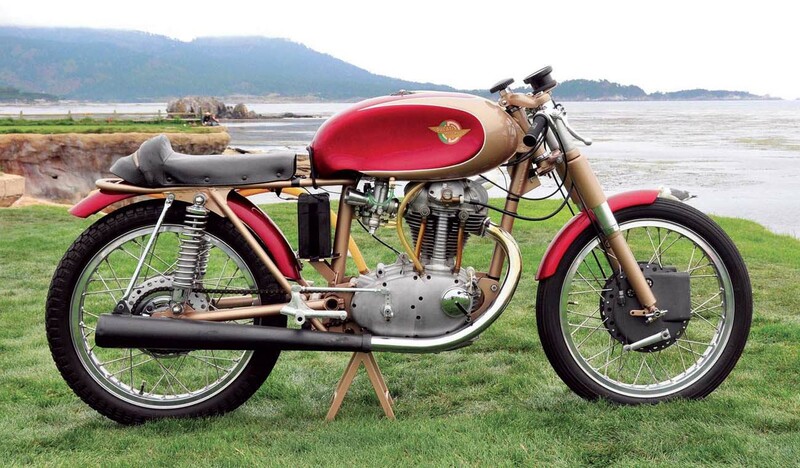 The F3 was first offered as a 125 and 175, and from 1960, a 250, and was still largely Marianna based. Almost nothing, however, from the production street bikes was used in the F3. 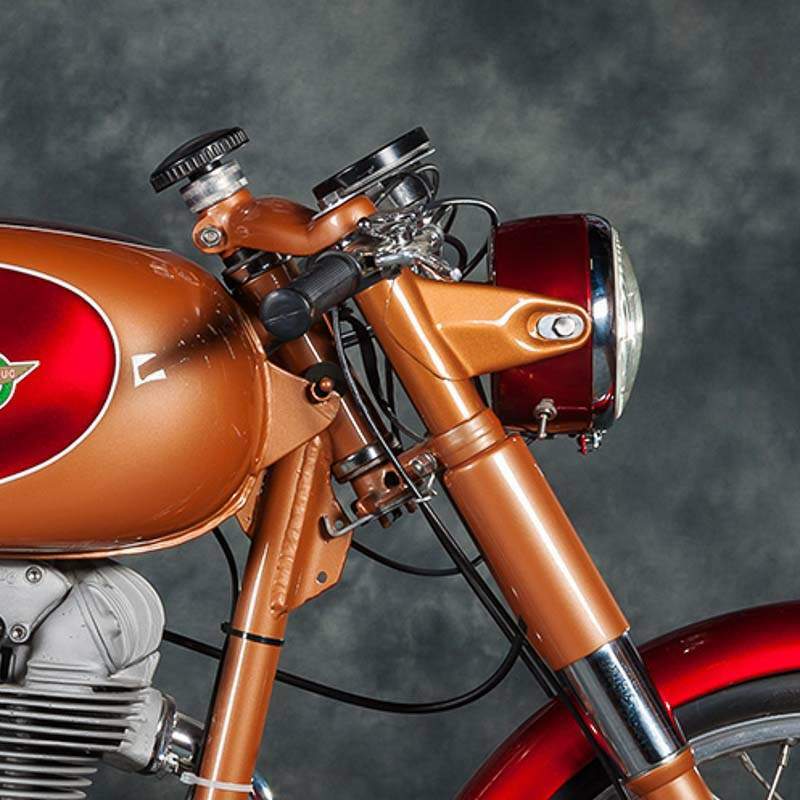 The frame was quite different, being lower and lighter, with a lower steering head, shorter 35mm steel or aluminum Marzocchi fork legs, and used a shorter swing arm. Although the F3s were genuine factory racers they suffered through being too expensive and were penalized by the 4-speed gearbox. Amadoro brakes (175mm front and 260mm rear, and magnesium castings on this machine) were typically installed, usually with air scoops, both front and rear, and laced to 18in rims. 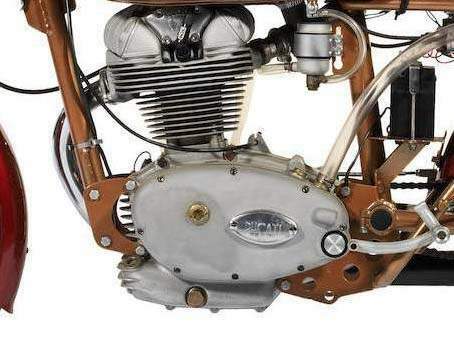 The motor was a twin-cam (bialbero bevel drive, over-square 62x57.8mm 4-stroke single using sand cast crankcases and a 4-speed gearbox with straight cut gears. 16 horsepower was quoted at 9000rpm. And they raced exceedingly well. Farne set off to conquer the USA in early 1959 on a factory 175 winning the 250cc class at Daytona a month after arriving. 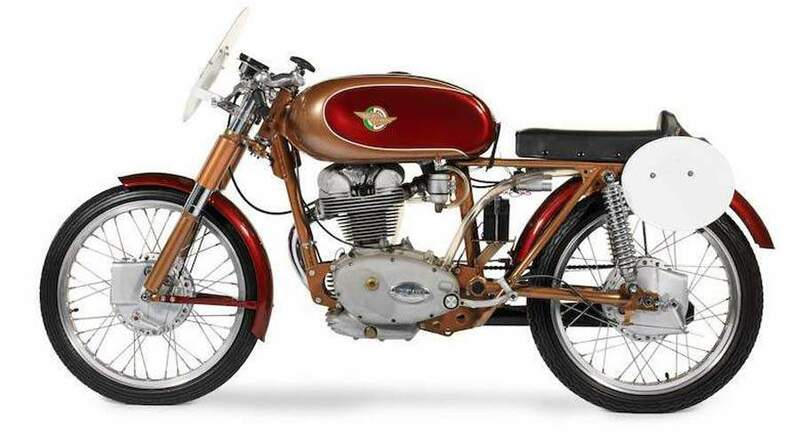 Franco Villa took over in 1960 and continued the successful promotion of Ducati's OHC singles for importer Berliner. Production of all three capacity F3s together was very small, perhaps less than 100, with perhaps only as few as a dozen 175s.